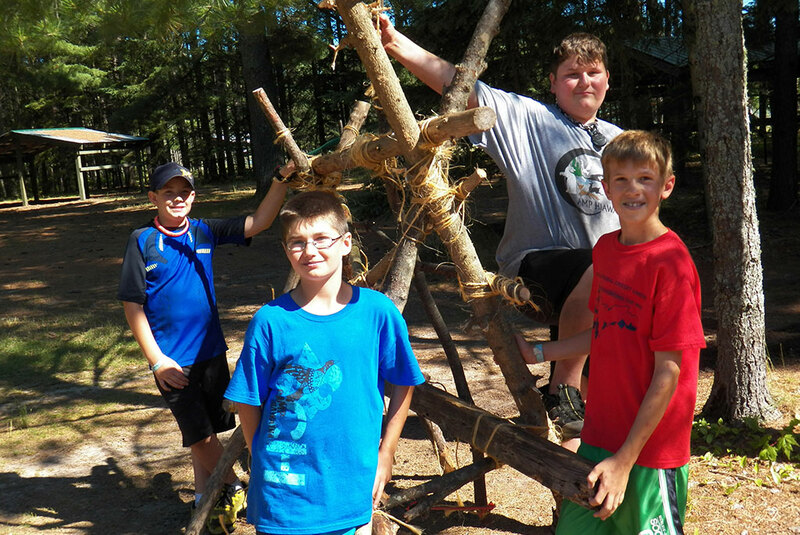 ESCANABA — On Saturday July 12, eleven Boy Scouts and three adult leaders from Troop 411 in Escanaba will be attending Camp Hiawatha, which is located east of Chatham in Alger County. The camp, which is owned and operated by the Bay Lakes Council of the Boy Scouts of America, is beautifully situated on Bunting Lake in Alger County. Camp Hiawatha was opened in 1967, on property formally known as Wolfe’s Lodge. Today Camp Hiawatha is 800 acres and encircles Bunting Lake, a 60-acre lake in the middle of Hiawatha National Forest in the heart of the Upper Peninsula. Scouts will have opportunity to earn merit badges, make rank advancements, and just have tons of fun! Once the Scouts have returned home from camp just long enough to get all their clothes washed, they will be off again, next for a Backpacking trip down the North County Trail. This adventure will run for a few days from July 31 to August 4. After sleeping for two weeks out in the remote wilderness, the Scouts will then spend a more leisurely, fun and interesting day at the U.P. State Fair in Escanaba. The Scouts are guests of the fair on Sunday August 17. This year, as part of the annual Scout Day at the fair, all Scouts in uniform will get free admittance when accompanied with an adult. All Scouts (Boy Scouts, Cub Scouts and all of the Girl Scouts) will be at the State Fair in the activities tent showing off the fun things which are going on in Scouting. The Scouts of Troop 411 will be cooking in Dutch ovens, setting up a model campsite, and doing rope-making. Monday September 8 will bring recognition to our busy Scouts as Troop 411 will hold a Court of Honor at Immanuel Lutheran Church. The evening begins with a Troop potluck dinner at 6 p.m. followed by the Court of Honor ceremony at 7 p.m. Anybody interested in Scouting is encouraged to visit Troop 411 which meets every Monday night at 7 p.m. at Immanuel Lutheran Church in Escanaba, or contact Scoutmaster Gene Williams at 906-399-7602. Share the post "Troop 411 makes plans for summer Scouting fun"
Categories: Delta County and Organizations.